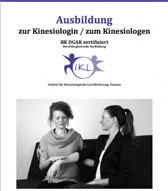 Dr. Wayne Topping ist einer der führenden Kinesiologen weltweit. Er stammt aus Neuseeland und ist Geologieprofessor. 1976 absolvierte er seinen 1. 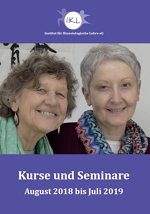 Touch for Health-Kurs und war begeistert von diesem Wissen. 1977 wurde er Touch for Health-Instructor und begann zu unterrichten. Er gab seine Tätigkeit als Geologe auf. Mit der Biokinesiologie konzentrierte er sich auf den Einfluss der Ernährung und der Emotionen auf die Muskeln. Er ist Begründer der Wellness Kinesiologie und der TFH Faculty für Schottland. Wayne unterrichtet in 23 Ländern und ist Autor von vielen Büchern. Wayne Topping, Ph.D. is one of the leading kinesiologists worldwide. He is founder of Wellness Kinesiology and TFH Faculty for Scotland. A former geology professor from New Zealand he participated in a TFH class in 1976, which right away convinced him to make kinesiology a major focus of his holistic health education. Much of his early training was in Biokinesiology, which works with the 12 regular meridians we use in TFH and the eight extra meridians and hundreds of pairs of emotions that affect them. With his Wellness Kinesiology Wayne developed techniques addressing nutritional, structural and emotional ways to balance the body. His biggest contribution has been developing simple effective ways to manage emotional stress, and change beliefs.